I was lucky enough to tour a couple models at Tiny Homes of Santa Barbara in Goleta, CA this afternoon. Unfortunately, this one is more of a teaser….my phone ran out of memory. 🙈Will post Part 2 in a little while….and then I have an awesome surprise. 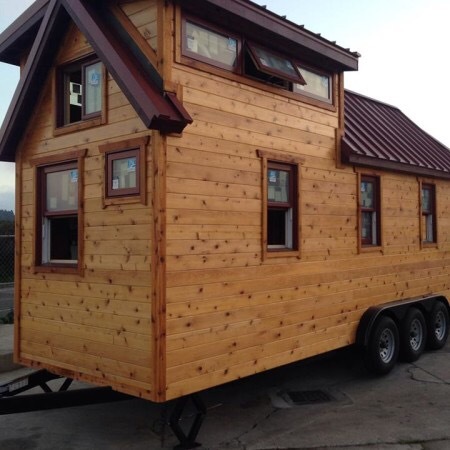 I got to see (and filmed) a beautiful Tiny House that will be featured in a well-known TV show (don’t want to give away the show name) at the beginning of May. Pssssst, it’s a secret. I hope you can get past my accent ☺️ and the awkward movements of my phone (I thought the picture would turn). I promise, I’ll get better at this. I promise I’ll get better at it. Ich hatte heute Nachmittag das große Glück ein Tiny House in Goleta, CA- in der Nähe von Santa Barbara zu besuchen und filmen. Leider ist meinem Handy die Memory ausgegangen, und der 2. Teil ist auf einem anderen Handy…werde den später hochladen. Ich hatte auch das große Glück dort ein tolles Tiny Haus zu sehen und Filmen, das Gegenstand einer Fernsehshow im Mai hier sein wird. (Pssssst, nicht verraten). Also, bis später und seid gespannt….